Next year we will revive a campaign that originally put LionAid on the global map in 2010. 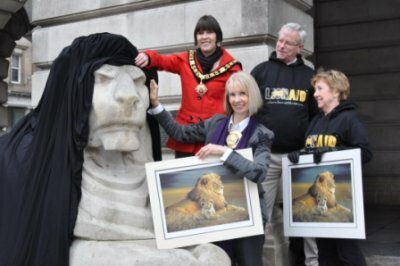 Then, we covered famous lion monuments all over the UK with black shrouds – from Glasgow to the Isle of Wight – to bring people’s attention to the plight of wild lions. Our aim was to convey this simple message: if lions go extinct, you cannot see them even as statues. Five years on we are still losing ever more lions. The message needs to be reinforced. Unfortunately now, even the statues seem at risk! In speaking with the Trafalgar Square authorities, it appears there is concern about the future of the lion statues. 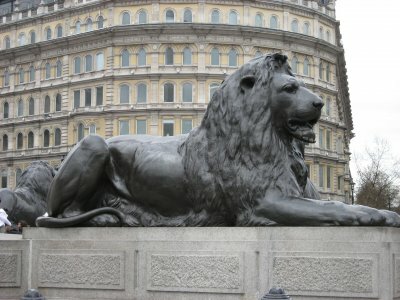 These four lions were created by Edwin Landseer in 1867, made of hollow bronze, and climbed and sat upon by hundreds of thousands of people since then. In order to properly conserve these most famous lions of all Britain the authorities have ordered that it is no longer possible to cover them with anything. We have therefore requested permission to display all the paintings, drawings, poems and letters on the terrace directly above the Square. All you need to do is create your own lion drawing, using the equipment of your choice, and send it to us at info@lionaid.org. It does not matter whether you are a Rembrandt in disguise, or a reluctant novice - we want to get as many of you involved as possible to help spread the word that lions need our help! 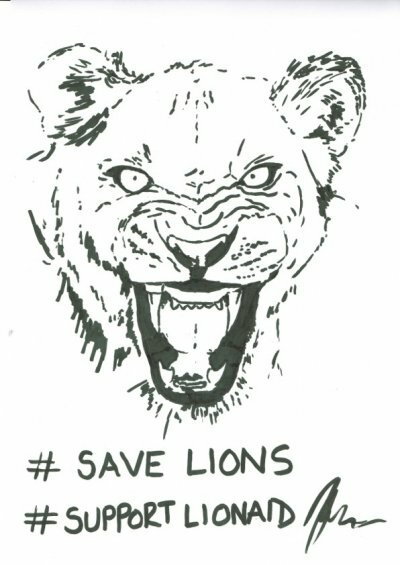 We will start collecting these drawings now from all who want to have their voice heard, and we will especially be asking school children around the world to draw out the lion in them for this campaign. It will provide a colourful and poignant reminder that lions are facing a very uncertain future unless we take action now. We are hoping every one of you out there who care about lions will DRAW OUT THE LION IN YOU by putting pen to paper and sending in your pictures. 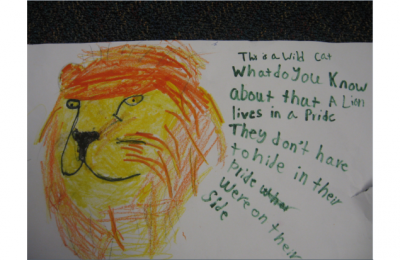 Click here to see some of the fantastic lion drawings that people have already done. 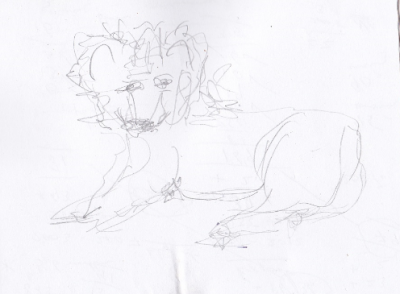 So, c'mon everyone, get drawing, post your picture online and send them in to us at info@lionaid.org. We will collect them all and make a magnificent display in Trafalgar Square. BE PART OF THIS WONDERFUL MESSAGE – LET YOUR VOICE BE HEARD. A world without wild lions is a very sad inheritance we will leave our children.